The 28-year-old Oscar-winning actress sparked engagement rumors this week after she was spotted wearing a massive ring while on a dinner date with Cooke. 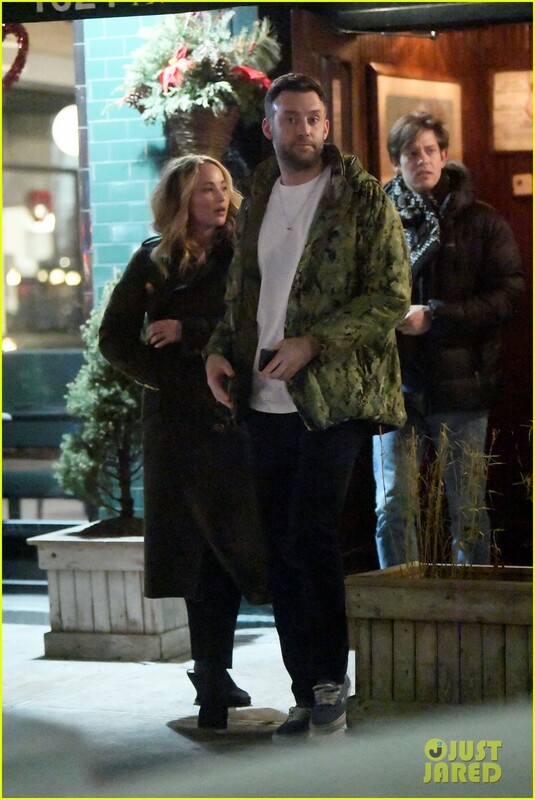 Jennifer and Cooke began dating in the spring of 2018 and they have been spotted together on numerous occasions throughout the past year. They were introduced by their mutual friend Laura Simpson, who famously accompanied Jen to the Oscars in 2014. Brookie and sprynkles like this. Jennifer Lawrence and Cooke Maroney are engaged, sources exclusively told Page Six. Buzz of the engagement began after the two were spotted having a cozy dinner at Raoul’s and Lawrence, 28, was rocking a “massive ring” on her finger. Lawrence’s rep confirmed to us that the two will be tying the knot, but we hear that Lawrence has been sharing the news with those closest to her. At Raoul’s, “It was a giant rock. They seemed like they were celebrating and people were talking about it. The ring was very noticeable. They were sitting back in a corner. She was wearing a cute black dress with white polka dots,” a spy told us. The low-key couple were also spotted dining at Elio’s on the Upper East Side over the weekend. Page Six broke the news that Lawrence started dating the 33-year-old art gallerist back in June after being introduced by pal Laura Simpson. Well congrats I guess. No clue she was even dating someone that seriously. bonus points that he is age-appropriate. Novice, Daphodil, lindsaywhit and 7 others like this. I can't get over his name - it sounds like some kind of mail-order spouse requirement: "I need someone who will iron m' clothes and cook ma roni"
denny, weathered1, Lalasnake and 11 others like this. Couldn't care less. Also, I have no idea who he is. Maybe he's not in the biz? Ah well, who cares. First thing I thought of when I heard his name. I'm hungry! Get over here and cook mah roni!!! DawnM74, MohandasKGanja, denny and 1 others like this. I don't think I win this game of name Rorschach because I just always think of cocaine. I still like her well enough and think that if she knocked it off with the "shocking" bathroom humor and non-filtered interviews and focused on her acting, she'd have a really great career. She did go away for a while but I'm cynical enough to question the timing of this, but maybe she's just happy. I read it as Coke Money. sparkles, bootspaige, Waterslide and 2 others like this. I want Coke Money to be my hip hop name. DawnM74, sputnik, lindsaywhit and 3 others like this. Then you gosta work on that spelling. Looks too normal. Mrs P and Waterslide like this. I'm torn between Inspectah Loud, Maude Maude Moo and Kittens Capone. Mrs P, DawnM74, denny and 3 others like this. ConstanceSpry, GRuser1 and Waterslide like this. How about Cok€ Mone¥? Or maybe koCe Munnie. LOL I tried that, but most of the good ones gives my real name. Daphodil and denny like this. ^^ Put in Water Slide as your real name! Waterslide and lindsaywhit like this.